Editor's note: Devin Bost dropped the lawsuit in July 2013, according to The Oregonian. An lawyer for Bost's orthodontist Dr. Brad Chvatal called the lawsuit "frivolous." Bost and his attorneys declined to comment. (CBS News) An angry Oregon patient who was allegedly advised to wear braces for 11 years is suing his dentist for the cost to fix his now-rotten teeth. Devin Bost, 22, is suing orthodontist Dr. Brad Chvatal of Oregon-based Chvatal Orthodontics for allegedly allowing him to wear his braces from ages 7 to 18. He's asking for $185,000, which breaks down to $35,100 for corrective oral surgery and other expenses and $150,000 for pain and suffering. "What I'm told by the experts is, 'You can't do this. You can't keep them on that long. It's just not done," Bost's attorney, David Hollander, told The Oregonian. According to the lawsuit, Bost had the braces put on by another orthodontist and started seeing Chvatal in August 1997 when he lived in the Eugene, Ore., area. Although he didn't visit as often as recommended, he did go to the orthodontist from time to time. It wasn't until June 2008 that Bost allegedly "received an urgent phone call from (Chvatal's office) that he needed to have the braces removed immediately." 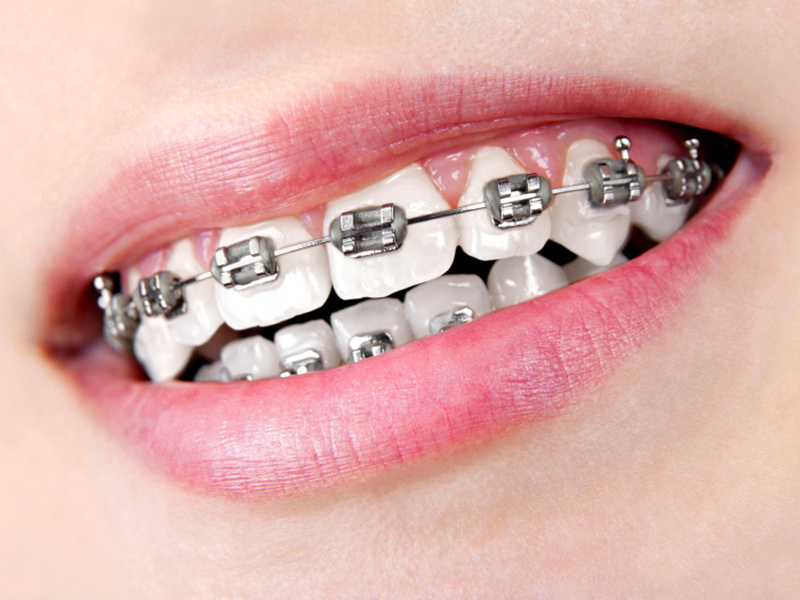 As a result of wearing the braces for so long, Bost allegedly suffered serious tooth decay and periodontal disease. Some of his rotten teeth have to be pulled out and replaced by implants, but others cannot be replaced because they have rotted to the jaw, Hollander explained. The alleged time period means he would have worn his braces from elementary school until he graduated high school. And, according to Hollander, Bost's mother - who is a medical doctor - didn't notice anything amiss. "We aren't really sure what happened," Hollander said. The American Association of Orthodontics recommends that children visit the orthodontist for a check-up no later than 7. Most patients begin treatment between 9 and 14. People who need braces typically wear them for one to three years, American Association of Orthodontists president Dr. John F. Buzzatto told CBS station KIRO in Seattle. However, Chvatal told The Oregonian that it's impossible that he started seeing Bost in 1997. Chvatal has been licensed with the Oregon Board of Dentistry since 1997, but was only licensed as an orthodontist in 2002. "We have the utmost respect for them and empathy, and treat them - everybody - with the best quality care as we possibly can," Chvatal said, declining to comment further because of privacy laws.